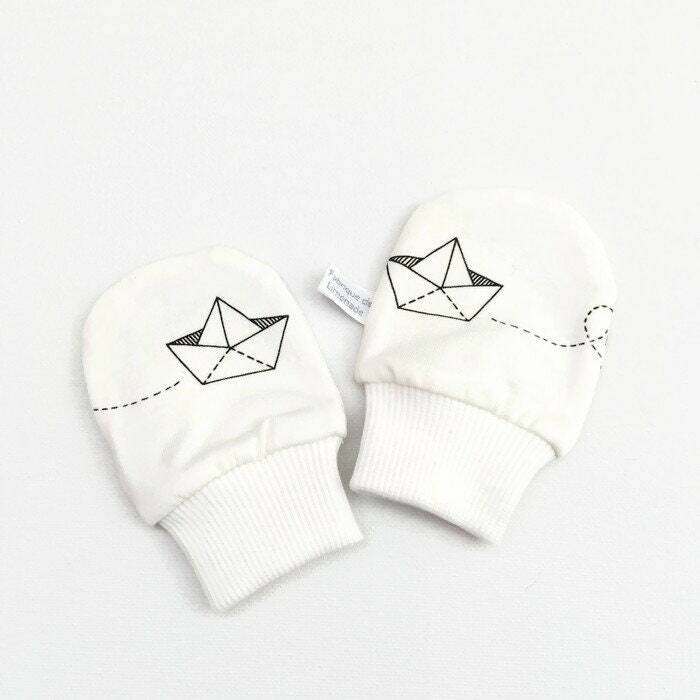 These lovely, soft baby mittens with paper boats will keep your little one's hands from accidentally scratching themselves. Each pair is made from white cotton jersey. 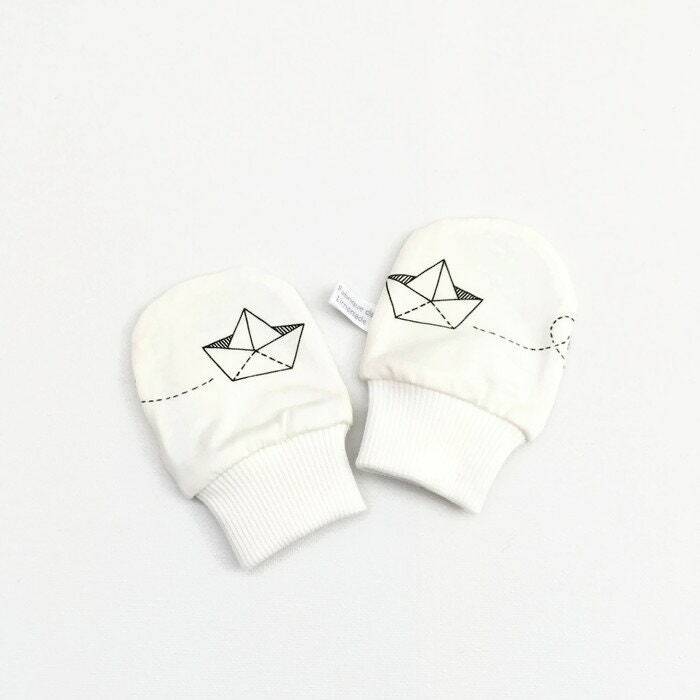 Stretchy white cuffs keep them comfortably in place while being much gentler than traditional elastic bands.